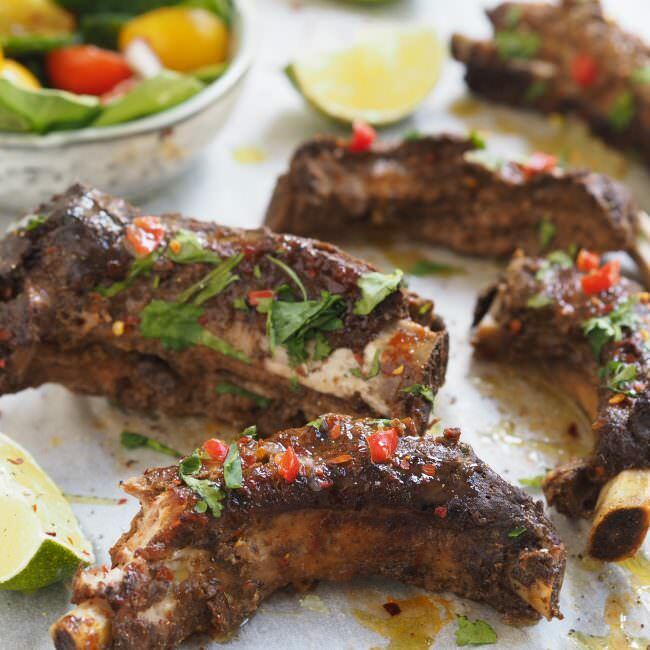 Try our delicious BBQ Ribs Recipe! This is perfect for entertaining, or when you fancy restaurant quality ribs without the restaurant price tag! Deseed and finely chop the chilli, peel and grate the ginger and garlic then place them all in a medium pan along with the apple juice, white wine vinegar, tomato ketchup, mustard, soy sauce and brown sugar. Mix the ingredients together and place the pan over a medium heat. Stir until the sugar dissolves, then simmer for 10 to 15 minutes, or until the sauce has thickened.